Miss South Africa 2018 witnessed the crowning of Tamaryn Green at the grand finale of the pageant which was held on 27th May 2018 at the Sun Arena at Time Square where twelve divas competed for the national title. 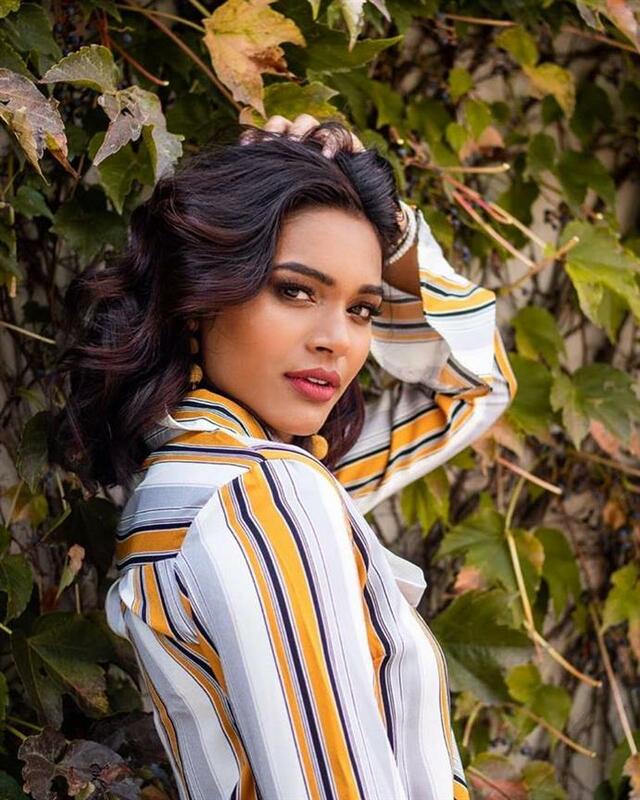 However, one scintillating diva who was definitely a crowd’s favourite and was considered a potential winner for Miss South Africa 2018 was Karishma Ramdev. Karishma who hails from Chatsworth, KwaZulu-Natal earlier held the title of Miss Tuks Varsity Cup 2015. Currently, she is a sixth-year medical student at the University of Pretoria. She aims to be a reconstructive plastic surgeon in South Africa and aims to help children with cleft lip and palate. This cause is close to her heart as she empathises with children having cleft lip who are often get isolated in social settings by others for having a condition that is medically curable. She draws huge inspiration from Kerishnie Naicker who was the first and only Indian Miss South Africa. The gorgeous diva strongly relates and identifies with the former beauty queen. The beauty queen performed exceedingly well at the gala night of Miss South Africa 2018. She looked stunning in her white swimsuit as she walked in swaying motion flaunting her body. While elegance is the word that will capture her true essence in the Long evening gown preliminary round, she stood confident and charming amongst other contestants competing for the pageant. She successfully locked her place in the Top 5, but unfortunately could not go any further. However, Karishma’s fans and supporters have not lost hope and have been wishing to see her make a comeback for Miss South Africa 2019 competition. Being a medical student, there is no doubt that she has ample intelligence while being so beautifully glamorous. Since childhood, she harboured this innate desire to help people which is why she decided to become a doctor. If she participates and manages to win the national title, she will definitely make brilliant use of all the resources and opportunities provided by the Miss South Africa pageant and she could use it as a platform to communicate her advocacies and help people of South Africa in their growth and development. According to her Miss South Africa needs to be strong, mentally and physically and should have the most compassionate heart for people. All these qualities and talent are filled in Karishma and there is no doubt that she will definitely make her fans proud if she participates in Miss South Africa 2019. She is one of those young aspiring women who will be able to make a difference in the lives of others.